This week marks the 110th anniversary of the Antiquities Act, a landmark law allowing presidents to designate national monuments on land owned by the federal government. Its signing by President Theodore Roosevelt in 1906 began the modern era of conservation, allowing Roosevelt to designate nearly twenty national monuments and protect natural and cultural resources that have come to define our country. 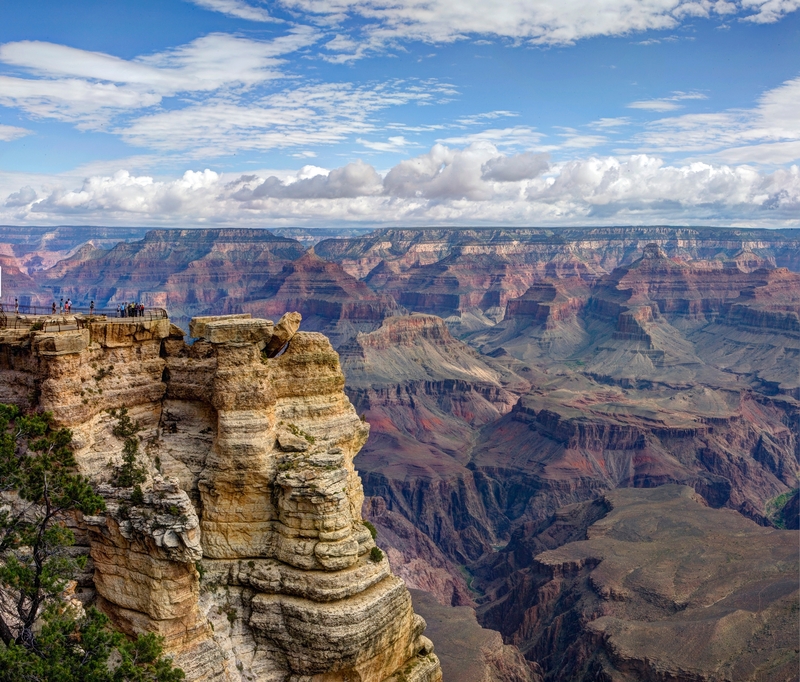 Many of the monuments he established, including the Grand Canyon in 1908, are now among our most popular national parks. The Antiquities Act, by any measure, has been a tremendous and popular success. I am calling on President Obama to designate a national monument on approximately 1.7 million acres of federal land surrounding Grand Canyon National Park. The reality is that the Antiquities Act only allows monument designations on land already owned by Uncle Sam. Despite repeated Republican talking points, no land is being “grabbed.” National monument designations shine a spotlight on sensitive and irreplaceable natural resources and protect them from excessive private development. That has always been, and remains, a worthwhile goal. President Obama has been able to use the Antiquities Act – as it was intended – to protect our shared heritage. He has designated 22 national monuments, many of which, like the Cesar E. Chavez and Harriet Tubman Underground Railroad National Monuments, both protect valuable resources and diversify the stories our public lands tell us about ourselves. In addition to being the 110th anniversary of the Antiquities Act, this year is the 100th anniversary of the National Park Service. We have reached an important milestone for reflecting on the meaning and value of our public lands system – the system that created the world’s first national park and continues to offer some of the world’s most beautiful and best protected natural spaces. Establishing the Greater Grand Canyon Heritage National Monument will make the moratorium permanent, provide Native American communities with meaningful input into the future management of their most sacred and cherished resources, and protect drinking water quality for millions of Americans. In honor of this milestone, I am calling on President Obama to designate a national monument on approximately 1.7 million acres of federal land surrounding Grand Canyon National Park. This area is full of archaeological resources and sites considered sacred to the region’s numerous Native American communities. Unfortunately, it is still recovering from a century of toxic uranium mining and is largely unprotected from looting and vandalism. It needs protection once and for all. President Obama already made the historic decision to place a moratorium on new uranium claims in the area for the next twenty years. Establishing the Greater Grand Canyon Heritage National Monument will make the moratorium permanent, provide Native American communities with meaningful input into the future management of their most sacred and cherished resources, and protect drinking water quality for millions of Americans. Each of these by itself is among the best reasons to establish a national monument. Northern Arizona provides a nearly unique opportunity to address multiple cultural and environmental needs at the same time. The last 110 years have proven President Roosevelt right time and time again about the importance of the Antiquities Act. President Obama should use it today to protect the Grand Canyon area once again. The alternative, unfortunately, is to let anti-government ideologues dictate the area’s future. Chairman Bishop is hardly alone in describing the Antiquities Act as an evil conspiracy by people he thinks are better off dead. His friends and allies are more interested in selling land to the highest bidder than in any notion of responsible long-term stewardship. The fact that he chairs the House Natural Resources Committee emphasizes only too clearly how important it is for President Obama to act now. We cannot leave culturally and environmentally sensitive areas in the hands of people who describe Theodore Roosevelt’s signature accomplishment as “the most evil Act ever invented.” That’s what’s at stake at the Grand Canyon today.